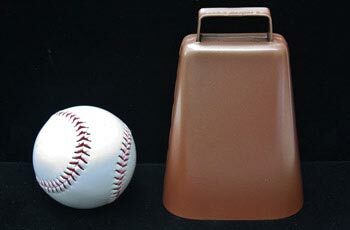 We have quality, small & large cowbells for sale. Use them to keep track of your farm animals or as musical decorations. 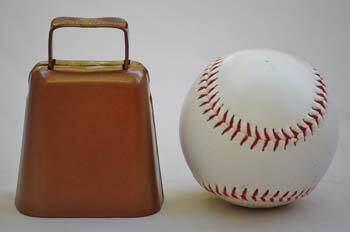 Celebrate special events like sports games, weddings, and holidays. Remember, quality bells make happy cows! 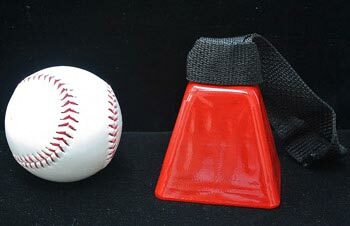 A cowbell is a type of bell used for locating and herding cattle by sound. The sharp clap and long ringing of the bell allows for farmers to easily keep track of their herd. This becomes useful for cows wander over long distances or when weather becomes detrimental, such as rain or fog. Cowbells are very popular among farmers in Switzerland, which has a rich history and unique terrain for cowbells! 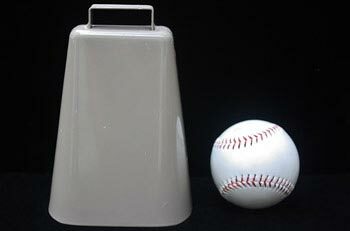 Cowbells can be used on almost any farm animal or pet. You can keep track of turkeys, sheep, and goats with mini cowbells. You can put them on a friendly dog or naughty cat as a pet bell! 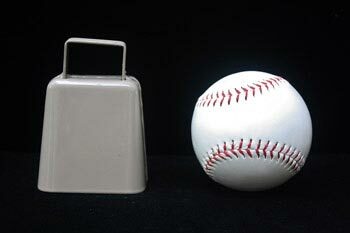 The cowbell has been used by many cultures for thousands of years! 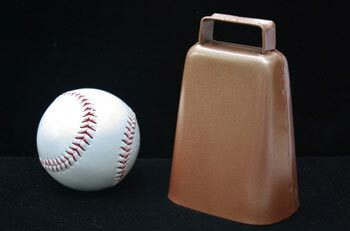 Below are a few examples of cowbells throughout history. Farmers in Switzerland have used cowbells for centuries to keep track of their herds through the foggy Swiss Alps. 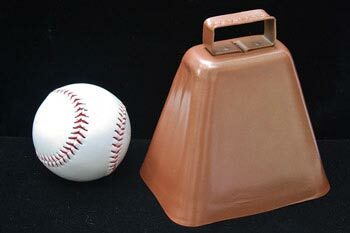 The cowbell, however, is more than a functional item. Families collect and pass down cowbells for ancestry and heritage. They are often handcrafted, decorative, and expensive. 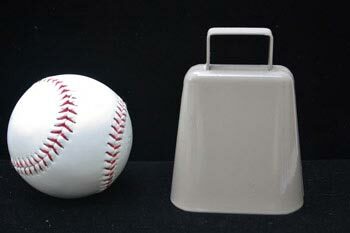 Cowbells also are prevalent in Swiss folklore. 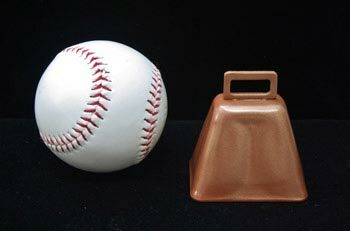 Cowbells have been found in the musical cultures of sub-Saharan Africa. These bells are linked to the early iron-making technologies of the Iron Age. 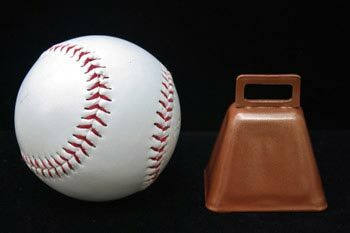 Cowbells were not only used on cattle, but celebrated in music and performance. Bells were used in the Fertile Crescent for early shepherding, expanding through Greek, Roman, Carthaginian, and Celtic cultures. One of the earliest accounts of bells in Europe is found in a story by Chaucer called Troilus and Criseyde. Chaucer is credited for the phrase "to bare the bell" or "to take the first place," referring to the lead sheep in a flock. 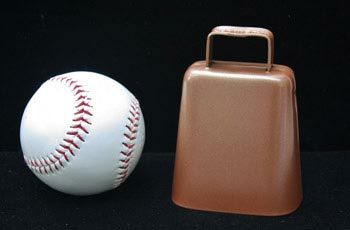 The earliest archaeological account of cowbells can be dated to more than 5,000 years ago in Neolithic China. Archeological evidence shows that pottery bells were likely used to track goats, sheep, and cattle. 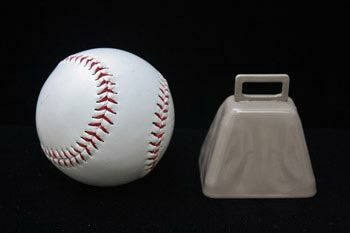 The earliest metal bells begin to appear in 2,000 B.C., with metal bells reaching West Asia by 1,000 B.C.. 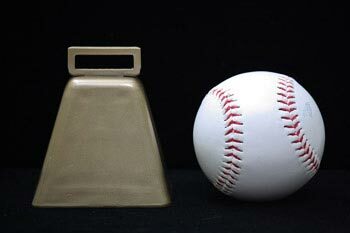 Currently, cowbells are made in Korea, Indonesia, India, and the USA. Bells have a presence in all cultures across the world. 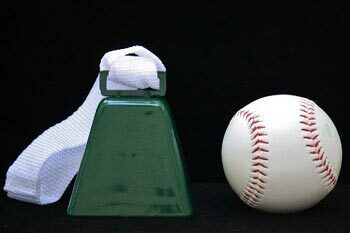 From farming to celebrations, there is always a use for and appreciation of cowbells. 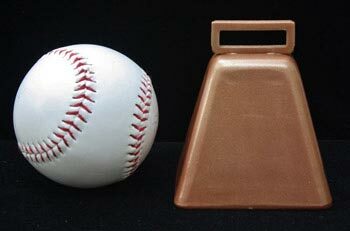 Typically, larger cowbells make louder, deeper sounds. 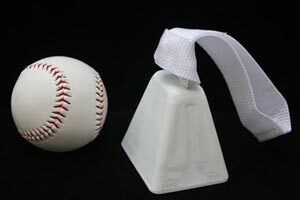 The LD Cowbells (Long Distance Cowbells) are designed with a stout shape to be extra loud! 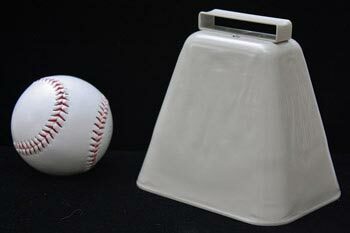 Our largest and loudest LD Cowbells are the Large Cowbell 14LD and Cowbell 12LD. 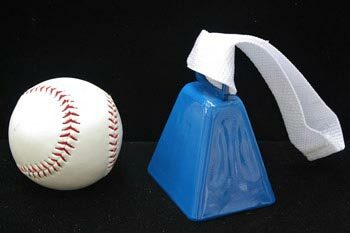 Larger sizes of Kentucky Cowbells are also loud! 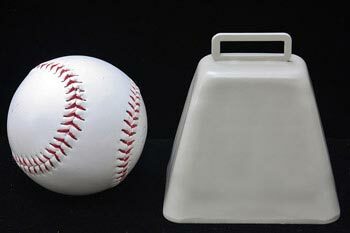 Larger Kentucky Cowbells are marked by lower numbers such as the Large Cowbell 0K, Large Cowbell 1K, and Large Cowbell 2K. 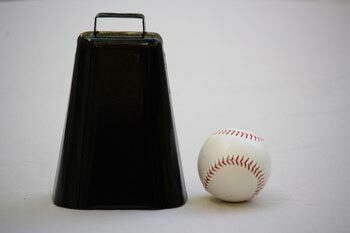 All of our larger sized bells are loud enough to be heard from a distance. A better question to ask might be, what quality of sound are you looking for? High quality bells will have a clean, smooth sound to be most pleasing to the ear. 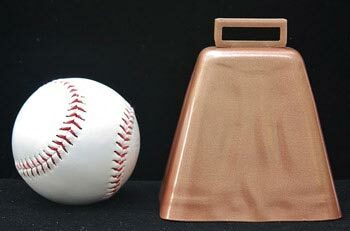 These are our metallic copper colored, single steel sheet, bells made in the USA. 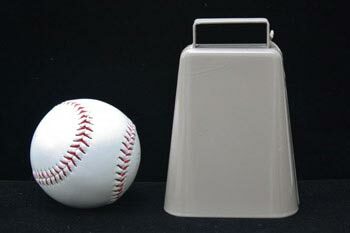 The less expensive, gray, double steel sheet, bells have a quicker and sharper tone. 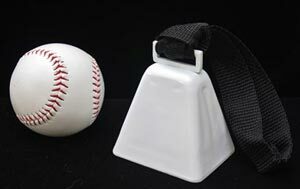 You can shop our selection of cowbells and view our videos to find the right bell for you! 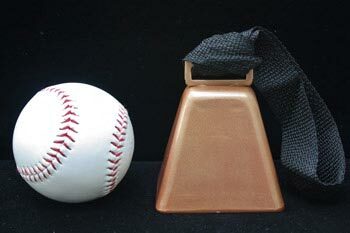 The K stands for "Kentucky," which is an elongated style of cowbell. 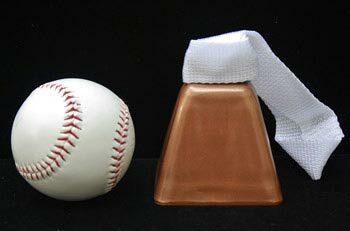 Click here for Kentucky Cowbells. 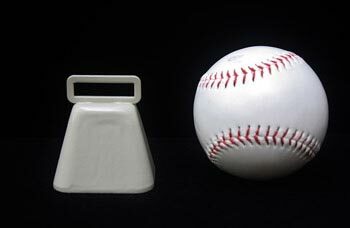 The LD stands for "Long Distance," which is a stout style of cowbell. 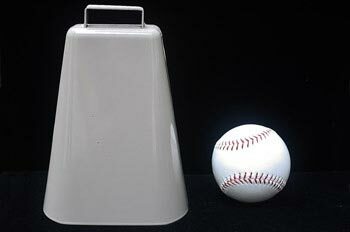 The short, wide shape makes an extra loud noise to be heard at long distances. 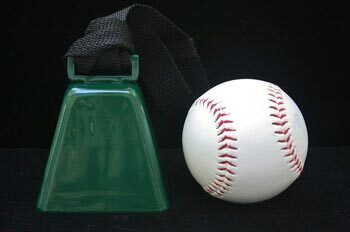 Click here for Long Distance Cowbells. 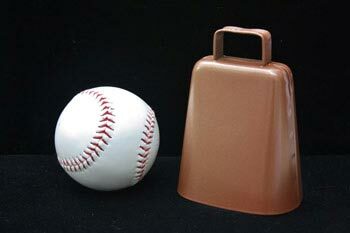 Cowbells can be used on more animals than cows! Sheep are one of many animals to benefit from the application of bells. Bells help to locate and herd sheep similar to cattle. 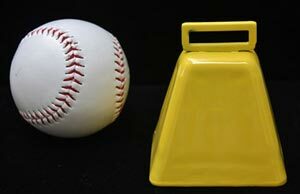 A loud and sharp bell will help to deter hungry predators. Distinct sounding bells on male sheep or rams can help keep track of their mating patterns. More so, sheep become accustomed to the tinkling sound of bells as they move about. It has a calming affect to know where everybody is located and how they are doing. Bells can be put around any and all animals! Attach bells to turkeys, goats, donkeys, horses, dogs, and cats. Bells add music to the farm with the function of quick location. Jingle bells can be attached to a cat collar to warn small animals of her approach. Put a bell on a german shepherd to give him extra strength to herd animals. 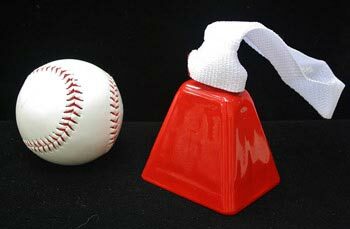 You'll always find a use for a quality bell! 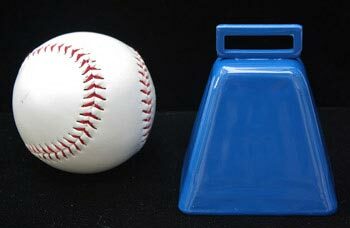 View our pet bell page here. 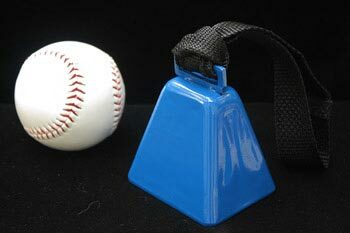 The kentucky cowbells have a lower dull tone. 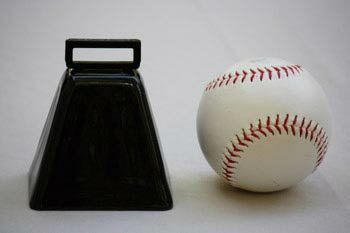 The long distance bells have a higher sharp tone. The kentucky cowbells get louder as the numbers get lower. The long distance bells get louder as the numbers get bigger. The largest cow bell ensemble involved 640 participants, in an event organized by Kunstlerhaus Boswil (Switzerland) in Boswil, Switzerland, on 6 September 2009. The event was made in conjunction with the Boswil show in Switzerland led by Paul Hamner of Johannesburg. 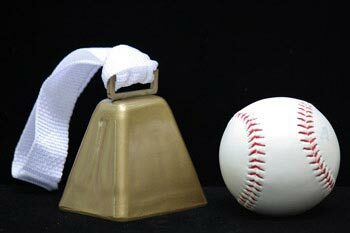 Cowbells are celebratory! Ring a bell for parties, holidays, and special occasions. 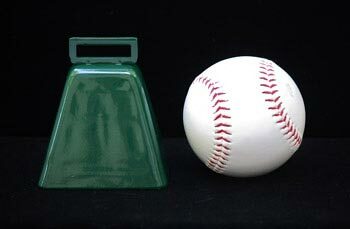 Bring cowbells for sporting events to stampede the competition! 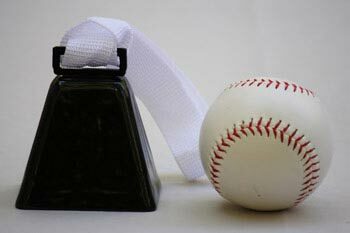 Bells are a great addition to weddings, bringing good fortune to couples. 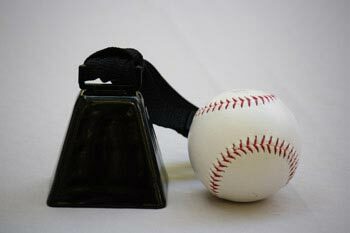 Ring in the new year with a cowbell! 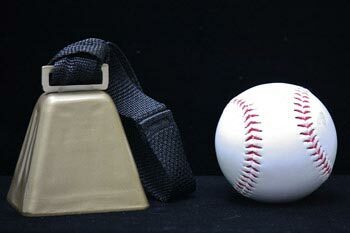 Show patriotism on the 4th of July with a cowbell made in the USA. 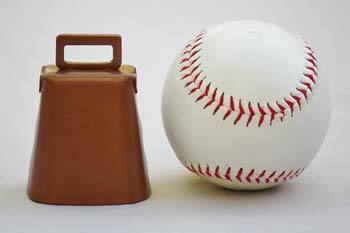 Get people "mooving" and grooving with a cowbell as a musical bell. 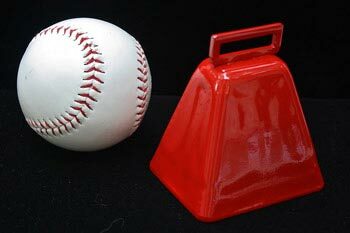 Be like Will Ferrell with "more cow bell!" This would make a great halloween costume. 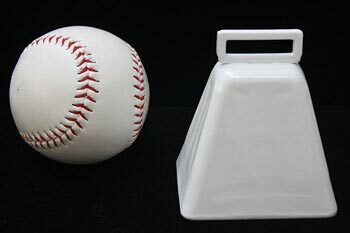 Decorate your home, farm, and events with beautiful, musical cowbells. 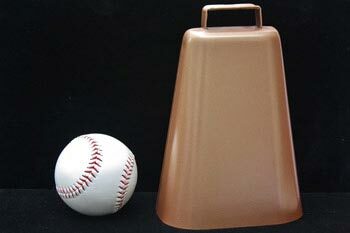 Use a cowbell as a shop bell to alert you when people enter/exit doors. Put a cowbell on the mailbox to announce you've got mail. 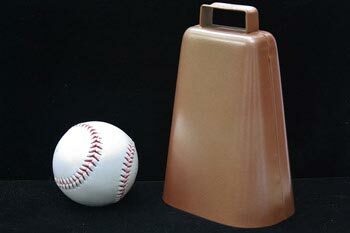 Put cowbells on a scarecrow or garden fence for a noisy animal deterrent! A cowbell makes a unique country gift for a special person. 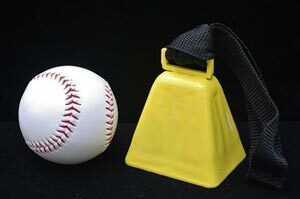 Use a bell to round up family, employees, and friends! Get people's attention at rodeos, livestock contests, fairs, and festivals! Use a cowbell to celebrate a birthday at your favorite steak house! Put cowbells on stuffed animals to keep track of your kids. 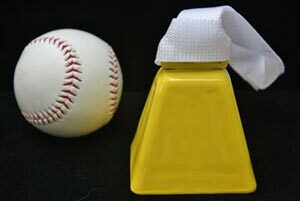 Annoy your parents with a noisy cowbell! 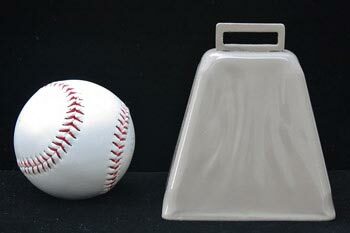 A small cowbell will make a fun item for arts, crafts, and decorations. See craft bells. 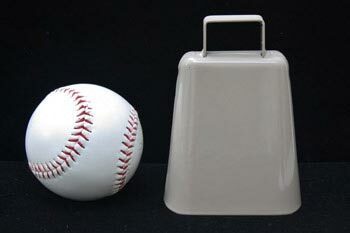 Cowbells can go on all kinds of animals like sheep, goats, turkeys, etc. See pet bells.